Albena Stoykova received her teaching and performance degree from the Sofia Music School and the Sofia Music Academy (Bulgaria) in 1987. She spent time teaching in the Youth Palace in Bulgaria and South Africa’s Music School “Mmabana.” She has played with international orchestras, the Radio Sofia Orchestra and Mmabatho Chamber Orchestra, and locally with the Musica 2000 Orchestra, as well as with the Bucks County Symphony Orchestra. Ms. Stoykova has played with string quartets in Paris, Athens and Colmar and won first place in the International Competition in Middlesborough, England. She enjoys working with student ensembles, especially with the all violin ensembles. 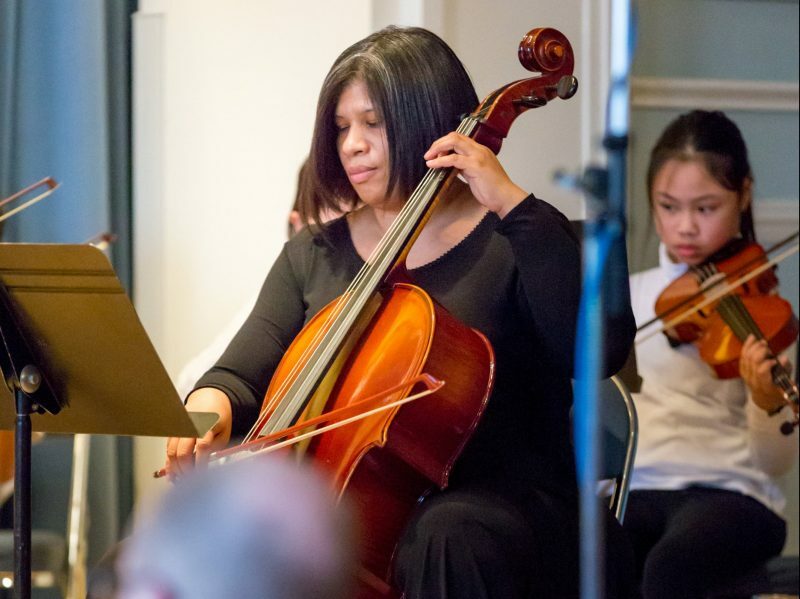 She has been with Settlement Music School for 12 years and the Doylestown Community Conservatory for 9 years.